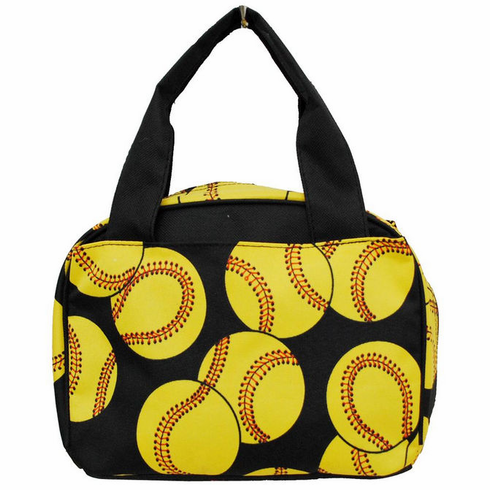 Softballs on Black Insulated Lunch Bag. Measures appx. 9.5"(L) x 7.5"(H) x 4.5"(W). Double handles with appx. 5" drop. Two exterior open pockets for quick and easy access.